An employment agreement is a formal contract between an employer and an employee which defines the conditions of employment. This agreement usually will specify major employment details and include everything from compensation to expectations for specific work to be performed. b) Can be an individual employment agreement or can Include an employee’s terms and conditions of employment in a collective agreement. 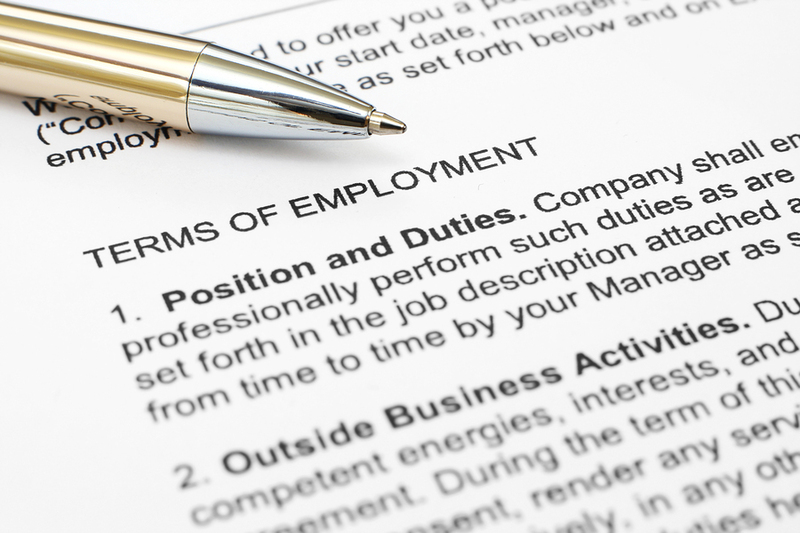 Why Does a Business Need an Employment Agreement? Although most employer-employee relationships are “at will” (meaning either party is free to terminate the relationship at any time), businesses of every shape and size should provide an employment agreement to each new hire, on or before the first day of employment. The employment agreement will be the foundation of the relationship between the employer and employee. One of its main purposes is to provide clear guidance in the event of a conflict. Besides making clear the employer’s expectations, employment agreements can offer other benefits to the employer. One such benefit is the ability to protect an employer’s critical trade secrets and proprietary information. Employment agreements can also incorporate non-compete clauses which can prevent an employee from moving over to the competition for a certain amount of time following their employment with your company. But be sure to get legal counsel when drafting any such clauses, as they can be challenging to enforce. Often language will be included in an employment agreement affirming the employee is not under a former employer’s non-compete agreement clause. This type of inclusion is intended to protect the new employer by requiring a prospective employee to affirm they are not violating a prior business agreement. Employment agreements can also be very useful when the employer is either acquiring other businesses or selling to a new owner. Non-compete and non-solicitation clauses in employment agreements protect all parties involved. There are two types of employment agreements: Collective Agreements (CA) and Individual Employment Agreements (IEA). A collective agreement is formed between one or more bargaining units comprised of at least two employees (typically a union) and one or more employers . By nature it is a general agreement between a group of employees and at least one employer. An Individual Employment Agreement is a more specific agreement between one employer and one employee. A Stay Bonus Plan is a form of employment agreement which specifically addresses the terms by which employees shall remain with a business after a specific event occurs (such as the sale of a business or the death of the business owner) in exchange for a bonus payment. 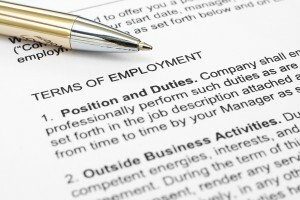 What Must Be Included in an Employment Agreement? An employment agreement must include minimum statutory legislation rights, including details such as: annual leave, probationary periods (if applicable), minimum wages, public holidays, parental leave, sick leave, and bereavement leave. It’s also best practice to include the organization’s disciplinary and disputes resolution process. In order for an employment agreement to be enforceable, it must include consideration or some type of monetary payment from the employer to the employee. When the business owner is extending initial employment to a prospective employee, compensation in the form of salary or wages is commonly used as a form of valid consideration for this purpose. If the business owner is asking an existing employee to sign a new employment agreement, the employer must include either a bonus, an addition to the employee’s benefit package or an increase in the employee’s salary or wages to establish consideration. In the event your business adds a termination clause that outlines stipulations for terminating an employee, you may unknowingly limit the “at will” relationship, restricting your ability to fire employees who aren’t working out. Because of the complexity of employment law, it’s always best to seek professional legal advice when drafting or updating your business’s employment agreement. Both federal and state laws must be considered as well. And employees should always consult with their personal Attorney for advice before signing any form of an employment agreement.